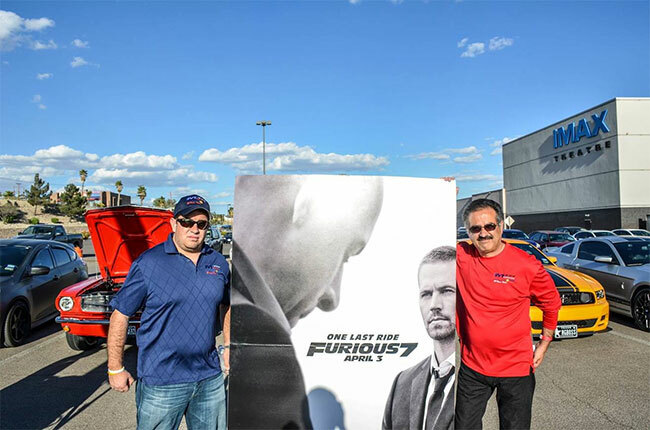 388 Lucky Guests Attend Car Show - Furious 7 in IMAX! 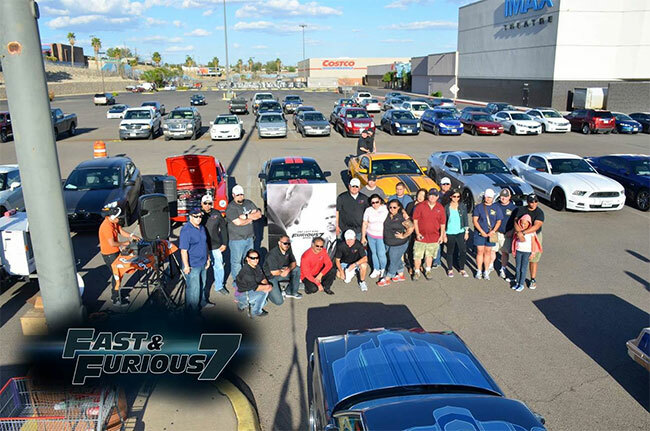 It was a "pedal to the metal" auto event at Premiere Cinema 17-IMAX at El Paso's Bassett Place Wednesday April 1. The celebration was the arrival of the latest installment of Universal's high-octaine series, "Fast & Furious 7". The theatre parking lot was bedecked with tons of automative awesomeness provided by El Paso's SVT/Mustang Elite Car Club and VIVA Auto Group. Prizes were given away to spectators. After the viewing, 388 lucky guests were invited to a special advance screening of the latest in the highly-anticipated chapter of the saga that just keeps on delivering non-stop excitement. "We've been waiting for Fast & Furious 7" all year," an excited car enthusiastic said. He said he arrived at Premiere an hour before the movie with his wife and son. "We love them and this is the first one we will get to watch in IMAX, I can't wait! We didn't want to watch it any other way." Promotional consideration for the packed-house event was provided by EXA-FM. Tickets are available at www.pccmovies.com.